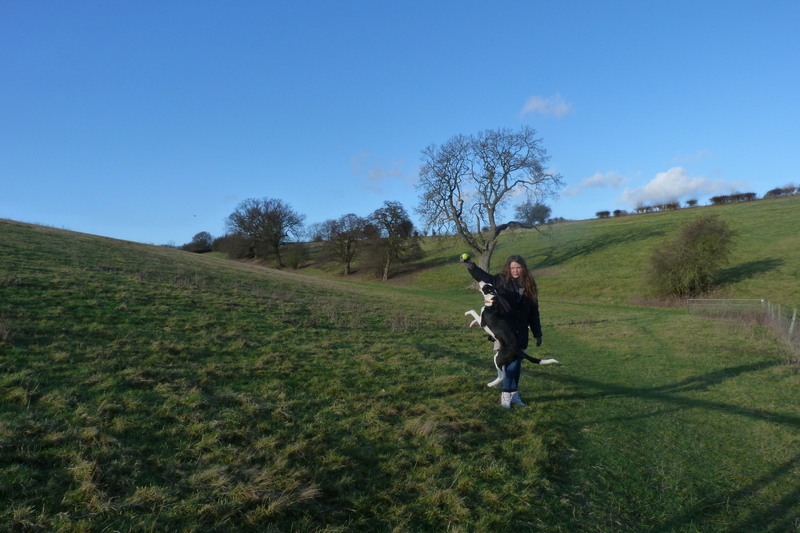 My ‘Site Stats’ for this blog have shown that people have found The Silly Asparagus through Google by asking the question, ‘Do Marks and Spencer sell Quorn?’. I haven’t discussed this before. In the last year or so, Marks and Spencer have started selling food from brands other than themselves. You can now go into M&S and find Cadbury’s chocolate, Kellogg’s cereal, etc. However, as far as I am aware, they do not sell anything by Quorn. If you have been following The Silly Asparagus from the beginning, you will already know that I love Marks and Spencer. I might be a student, but places like Asda just aren’t my scene. Whilst Marks and Spencer do not stock Quorn, they do have their own range called ‘Super Soya’. 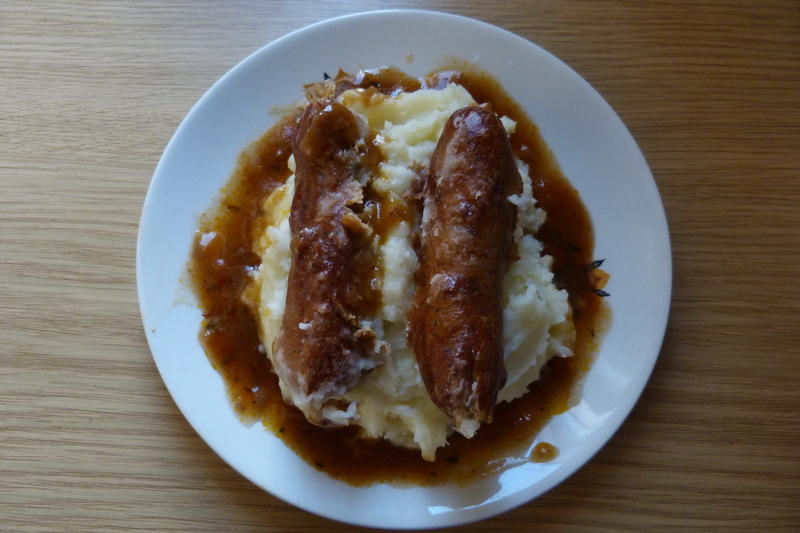 Today, I bought the ‘Super Soya Sausages With Onion Gravy & Mash’. Okay, I’m still not exactly cooking, but this was very yummy! 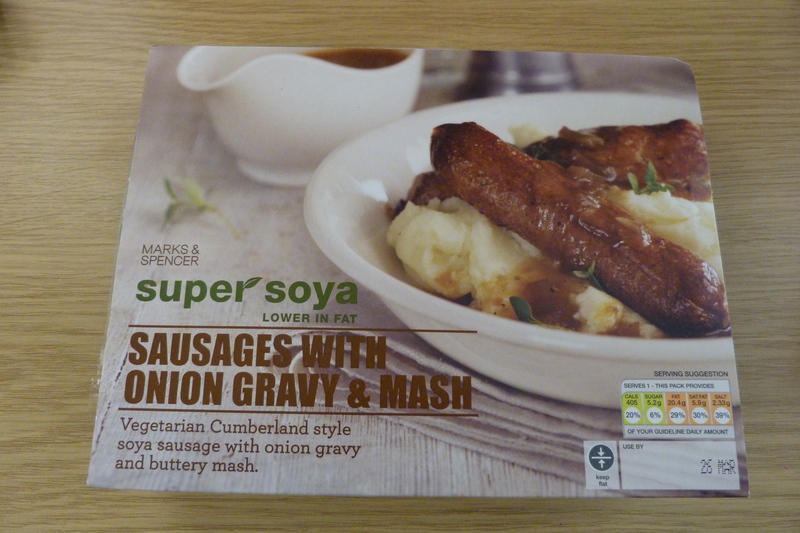 As well as the ‘Super Soya’ range, M&S also have a great vegetarian range. I have briefly mentioned the range before (https://sillyasparagus.wordpress.com/2012/02/03/day-67-catch-up/). I am clearly hoping that those in charge at M&S will see my enthusiasm and passion for their company and hire me as their vegetarian spokesperson. I can see the posters now: ‘This is not just any silly asparagus…’. Unfortunately, whilst the likes of Rosie Huntington-Whitely are around, I have no chance. Well, that is quite enough free advertising for one day. 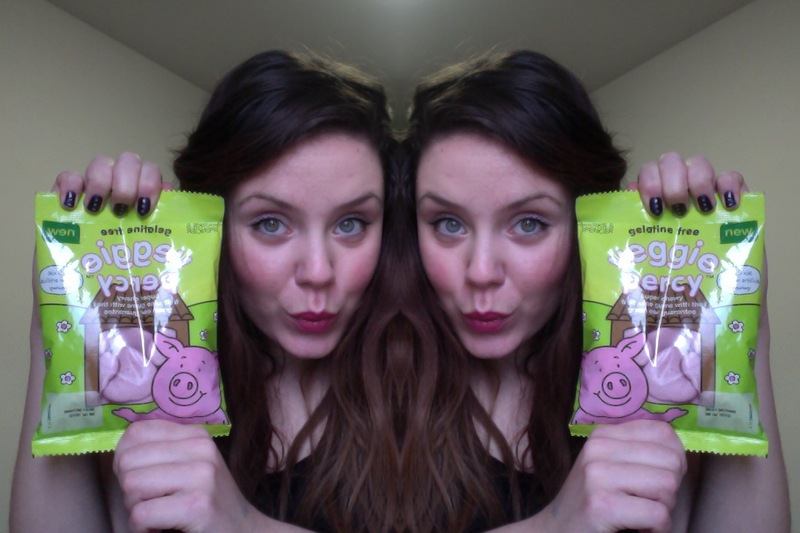 When I became a vegetarian, I resigned myself to the fact that I would never eat a Percy Pig again. Whilst I am happy not eating the collagen from animal skin and bones (gelatine), I have missed Percy and his sugary pinkness. 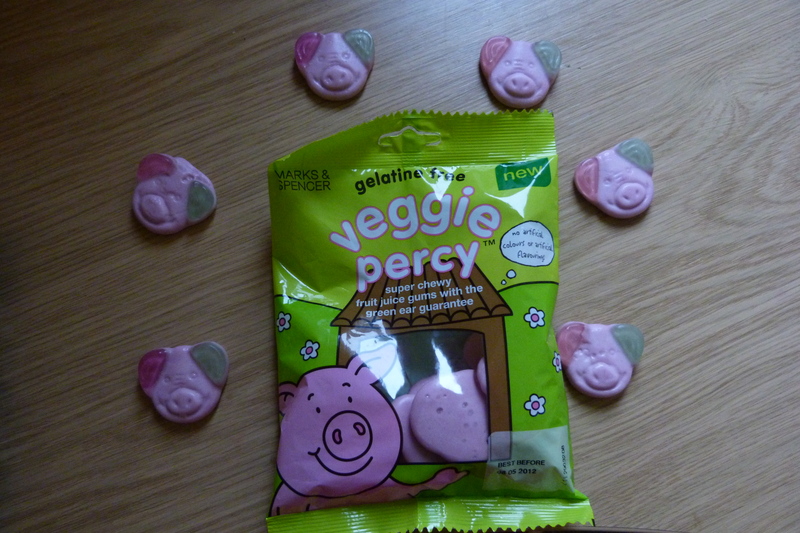 Now, I had heard rumours about Percy Pigs suitable for vegetarians. But I had never seen them in any Marks & Spencer… until TODAY. I squealed like a pig myself when I saw them. These veggie sweets are even yummier than their brothers. Next time you buy some, opt for these ones. How cute are their green ears! Remember that only Percies with green ears are suitable for vegetarians. (Children, don’t play with your food — I got nail polish on these little fellas and they have to live in the bin instead of my tummy). Please ignore my duck-face impression. Oh, and Marks and Spencer, as I have mentioned you two days in a row, please feel free to send this poor student food packages and / or clothes. I hope this post finds you well. As I have a long day of work ahead of me, I thought that I would be a bore and give you a progress report. Well, I have been a vegetarian for over a week now. I can honestly say that I have not craved meat or gelatin(e) products at all. The day I walked past the chicken and bacon sandwiches in M&S, un-tempted, was the moment I realised that I was a changed asparagus. Due to essays, work and somehow trying to squeeze in a social life, you won’t be seeing any recipes from me until Autumn term has finished. My diet over the past week has not been varied — unless you count Quorn in three different forms as varied. Breakfast didn’t change upon becoming a veggie: two Weetabix set me up perfectly for the day. I have eaten a lot of vegetables, mainly carrots and green beans. My beloved pineapple has made a daily appearance (I shall tell you more about my love for the magnificent pineapple soon). Aside from breakfast, I generally avoid carbs — I do not wish to be a veggie who survives solely on pasta or toast. This uninspiring diet would be a problem for any ‘foodies’ out there. 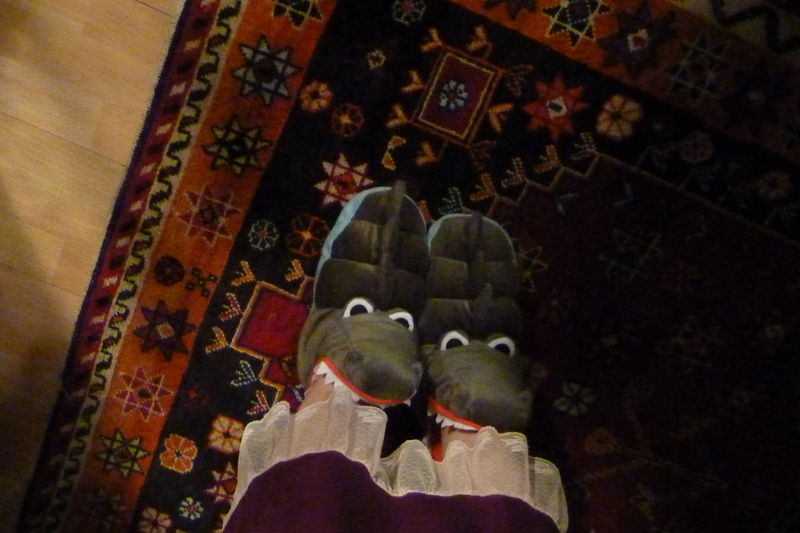 I, on the other hand, am quite content. 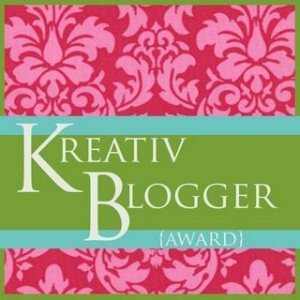 As you may have noticed from day three’s post (https://sillyasparagus.wordpress.com/2011/12/01/day-3-the-response/), food is not my best friend. For the sake of my wellbeing, and before the food police start their onslaught, I will start to vary what I eat. But, I did try an avocado this week, how much more adventurous can an asparagus get?! Unfortunately, giving up meat has not made me resemble veggie Alexa Chung in any way. Although, there has been an improvement to my skin. Blemishes and spots on my face have been causing me confidence issues for months. However, since eradicating meat from my diet and cutting down on dairy products (mainly cheese), my skin has started to clear up — don’t get me wrong, it is still by no means perfect. I think I should get in touch with Channel 4’s ‘Food Hospital’ to report my findings. Generally, I am feeling bright-eyed and bushy-tailed. I do not feel that I am depriving myself of anything. I am not feeling weak or tired (like I was told I would feel). 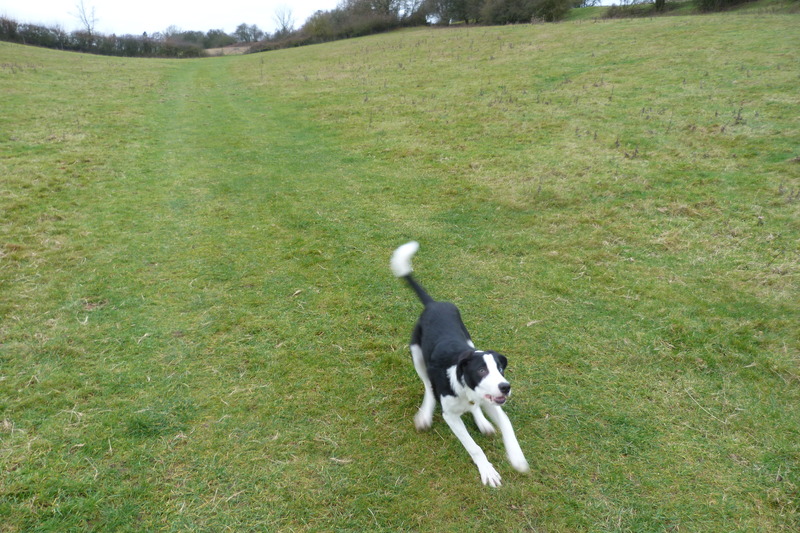 Instead, I am energised and positive.